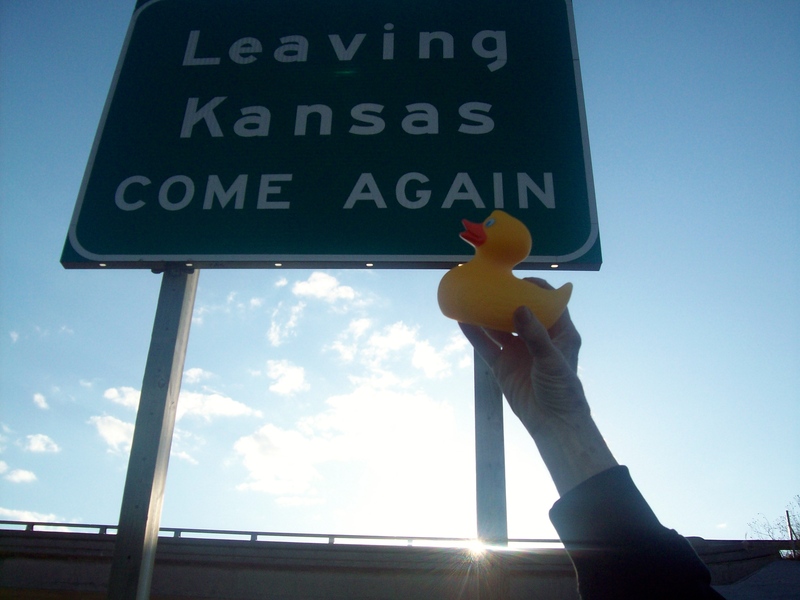 None of the Colorado Traveling Ducks have visited Kansas. 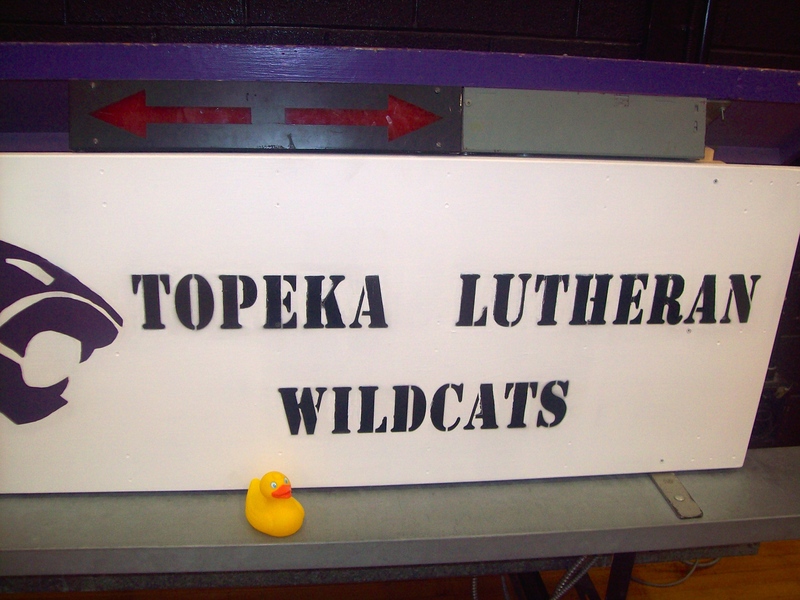 Mom’s friend, Tom and his son, Mike, took Cousin Duck to Topeka to the 140th reunion of Topeka Lutheran School. Tom was a teacher there from 1971-1974. 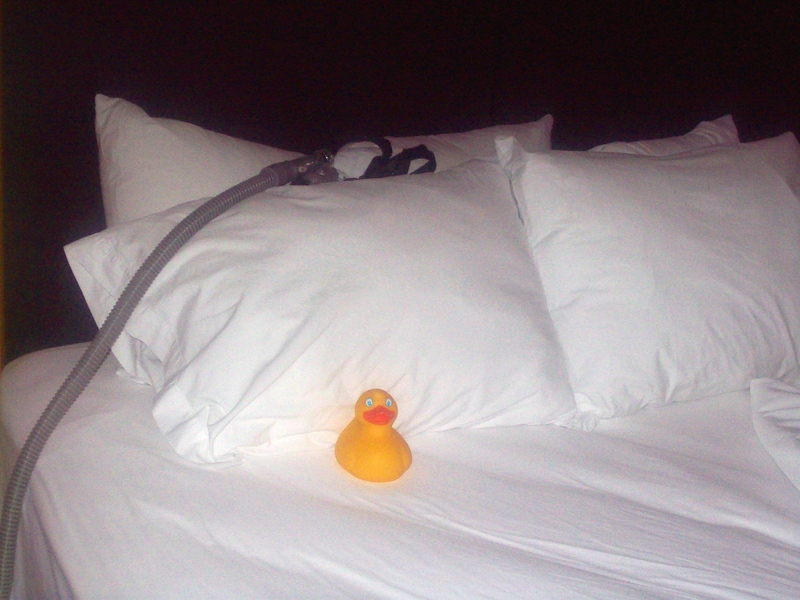 They checked into a motel in Topeka, near the school, and Cousin Duck found something new. What is on the pillow? What is this, he asked? This is a mask for a CPAP machine. 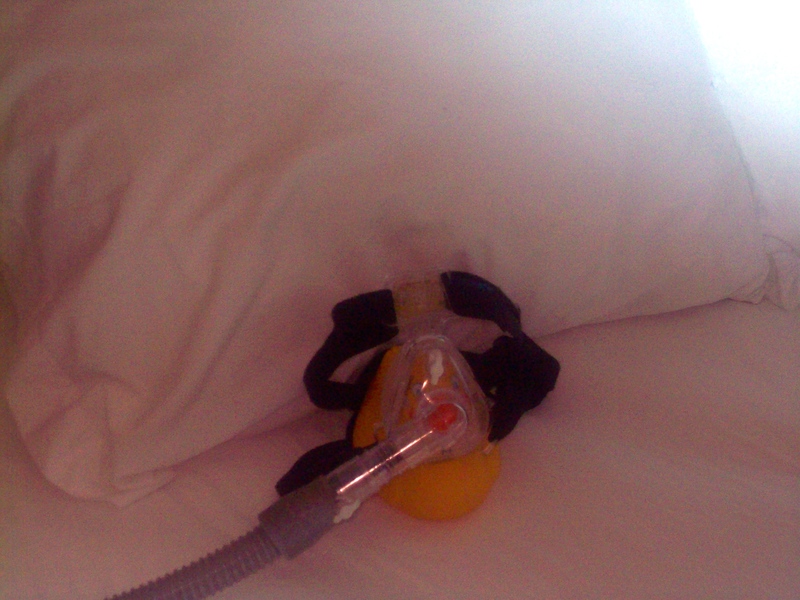 Cousin Duck says he breathes better with this mask. 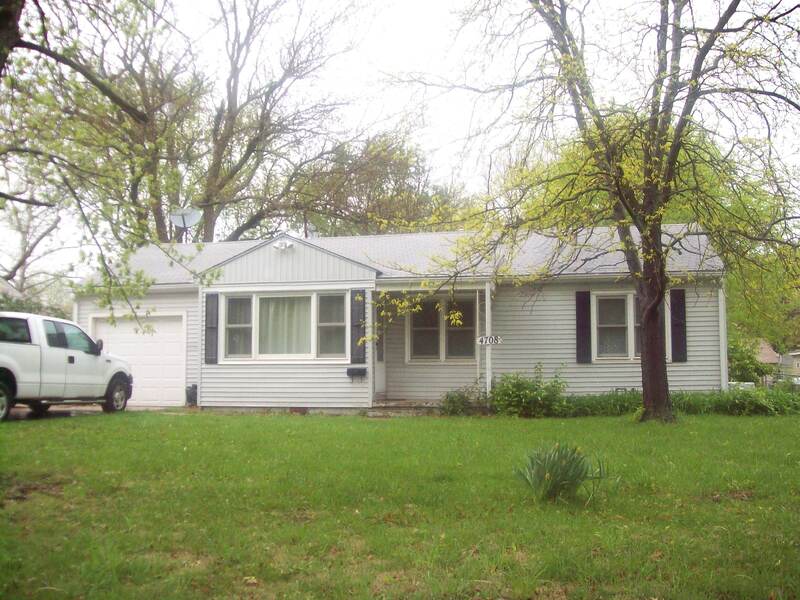 Driving around Topeka they found the house where Tom, Mike and the rest of the family lived in Topeka. The humans lived here over 40 years ago. Big yard here. They are now in the school, the home of the Topeka Lutheran Wildcats. Cousin Duck now thinks he is a Wildcat. 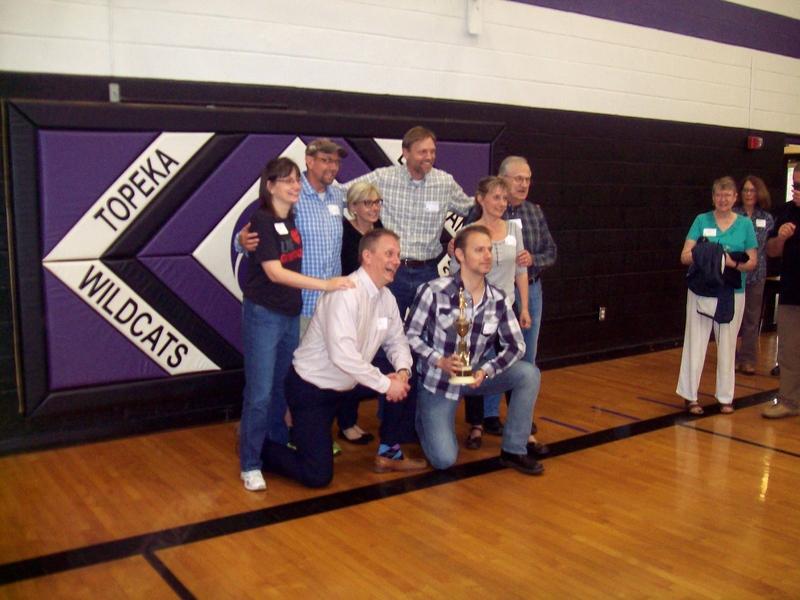 Some of the former students are holding a trophy, won when they were teenagers. 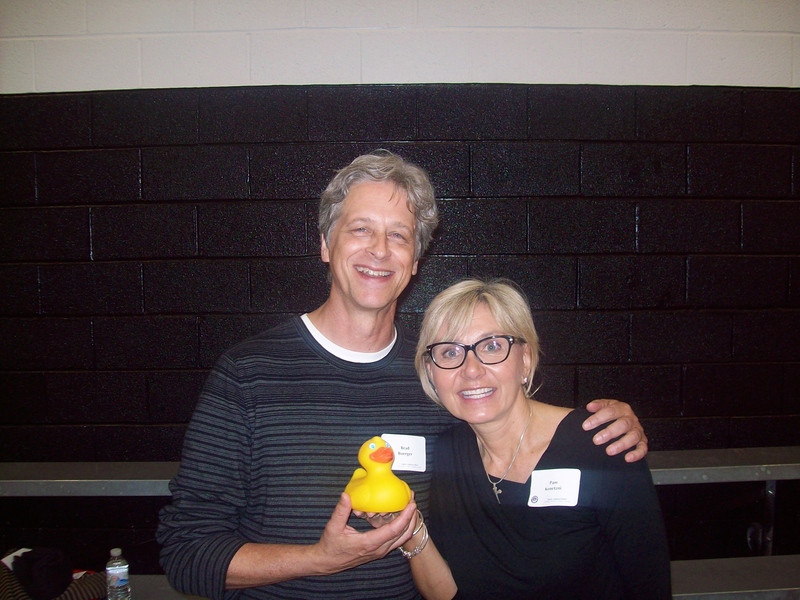 Wildcat Duck likes Brad and Pam, his new friends. They were Tom’s former students. Now what is this? In the early 1970s students could be paddled if they misbehaved in school. Mmmmm. Sometimes a little persuasion teaches students valuable lessons. The students that were paddled realized that maybe they deserved it and none were angry about things now. 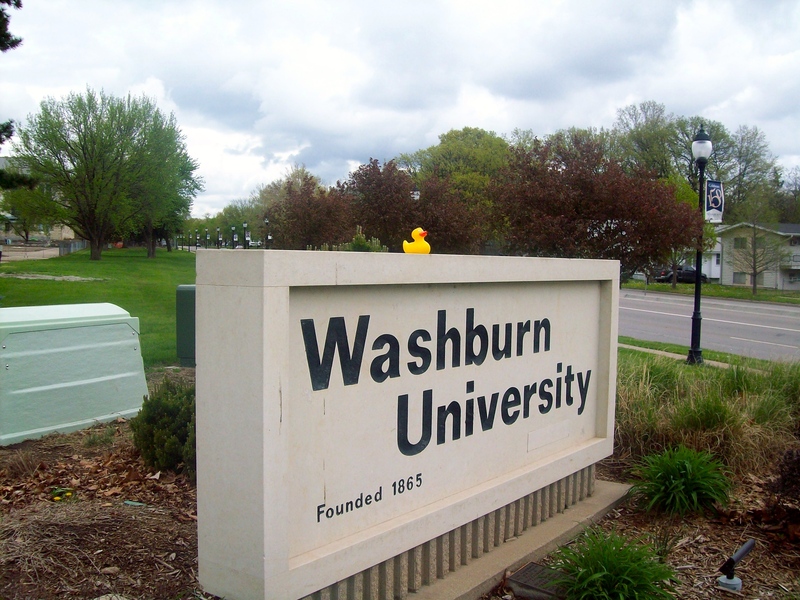 For more information about this school, visit http://www.TopekaLutheran.org Sunday, Tom and Mike, with the newly named Wildcat Duck visited Washburn University. Across from the University is a great store. They went into Time Machine Records and More. Another former student, Brent, was there. Look at this album from Freak Brothers. Wildcat Duck really like the figures behind him. This is the immensely popular band, KISS. That is so perfect. Everybody loves KISS. 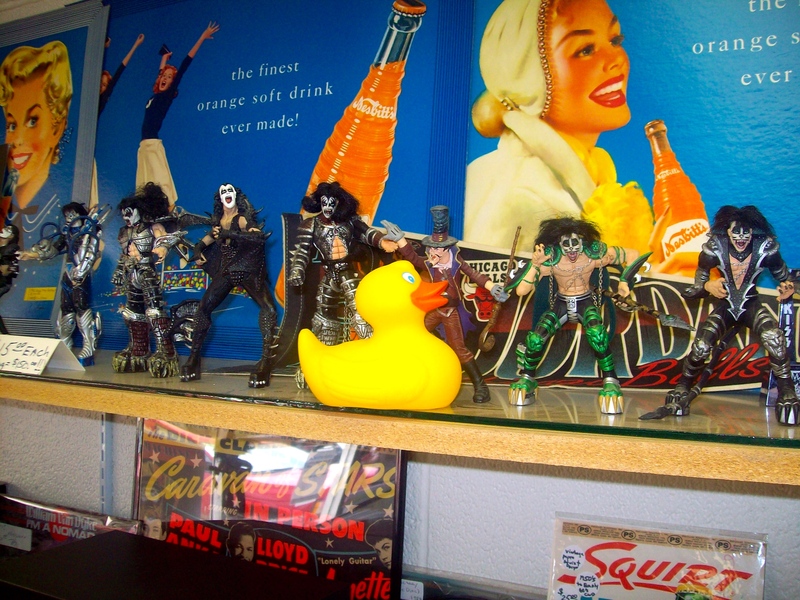 For more information about this store visit http://www.timemachinerecordstopeka.com We think Wildcat Duck had a great trip. But it was time for them to leave Kansas and come back to Colorado. Thanks for the trip Tom and Mike. I, Wildcat Duck, had a great time.